In case Ronaldo ever leaves Real Madrid, there aren't many clubs who could realistically sign the Portuguese star. From Manchester United to Paris-Saint Germain, let's go through some of the possibilities. Cristiano Ronaldo is the last of Jorge Mendes' clients left at Real Madrid, as the club's seem to be making a conscious shift away from the Portuguese super-agent. Ronaldo is understood to have made his decision to leave Real Madrid during this summer and the same has been conveyed to President Florentino Perez, even though he may not admit it in public just yet... The next few weeks will tell us if Ronaldo's intents are serious enough or not, but until that happens, rumors and conspiracy theories will continue rising on the surface. However, the impact he has at Santiago Bernabeu is believed to be one of the key reasons behind Madrid trying to initiate peace talks and be hopeful about the player's stay at the club. Ronaldo is thought to be keen on a move away from Madrid after being hurt a lot by Spanish tax authorities over a €14 million tax fraud case. Cristiano Ronaldo has been linked with a return to Manchester United ever since he made the £80 million switch to the Madrid capital. 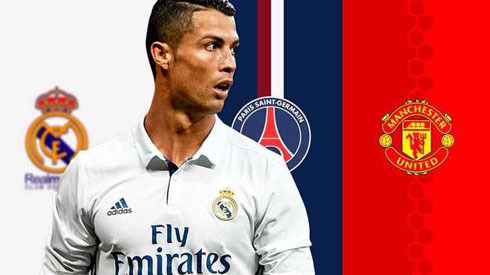 Ronaldo enjoys a great fan following at United even now, and it is a polar opposite to his situation at Madrid – where he was even booed by his own fans. A return to Old Trafford is certainly feasible now that United are one of the clubs capable of affording his incredible wages and transfer fee. 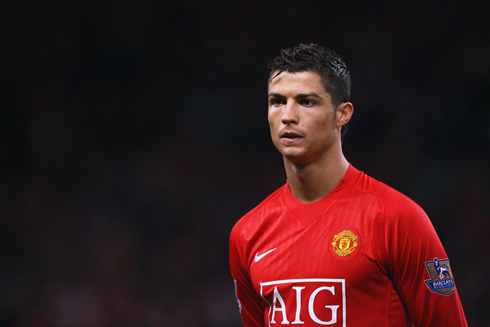 United have been searching for a figurehead who could lead the club, and Ronaldo can be that player. One of the biggest constraints towards signing Ronaldo would be his transfer fees, as Madrid are unlikely to let him play for anything less than £100 million. There are even rumours that Madrid may demand that all the £150 million to sell Ronaldo, as the 32-year-old not only scores goal that win trophies, but he also is a huge commercial weapon. United may baulk at this transfer fee for a 32-year-old. Manchester City are one of the few clubs who can afford the £150 million transfer request from Madrid apart from a wages of around £350,000 per week. In the past, City have tried to sign Ballon d'Or winners like Kaka without much success. While the club has no shortage of talented players, none are on the same planet as Ronaldo. 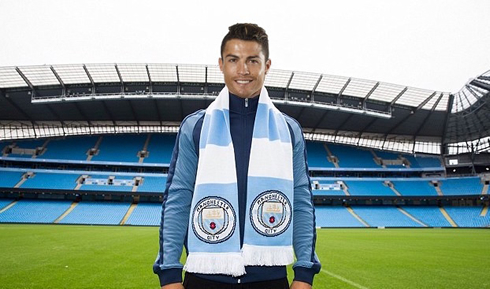 City may not need a marquee player right now, but Ronaldo is more than just a player who can be a figurehead amongst the players. The Portuguese superstar has the capability to help the club win trophies. The last four years have witnessed Ronaldo picking up three Champions League titles and one La Liga medal amongst many other honours. Furthermore, he has scored more than 40 goals in a season in each of the last seven. In fact, his return of 42 goals last season is probably his second worst record since coming to Real Madrid. Paris St Germain owners have been very keen on the club winning the Champions League – to announce their entry into the elite list of clubs. However, some say PSG are not overwhelming favourites for the title, as the club have lacked the zing factor when it comes to the Champions League. There is also a lack of experience among the squad when it comes to winning the competition. After having won this title an incredible four times with two different clubs, Ronaldo is well-placed to hand PSG the final piece of a missing jigsaw. PSG will be ready to pay any fee and wages for the completion of the transfer. The desire of the player could be the only difference, but the arrival of players like Dani Alves in the summer transfer window shows that PSG are still being serious about transforming the club's fortunes when it comes to European football. Chinese clubs have been at the forefront of several big-money signings over the last couple of transfer windows. The Chinese clubs will rejoice if Ronaldo decides to move to the Chinese Super League, as it will be the biggest possible statement of intent at this point in the division's history. However, there are several factors that would prevent Ronaldo from making such a move and one of them is naturally the low competitiveness level of the league. Ronaldo is already one of the highest earning players in the world. Despite his millions, Ronaldo seems to care more about winning individual and team accolades in huge numbers. Moving to China will only be about money. Just like the Chinese Super League, several clubs from the division have been linked with a move for the player. MLS clubs know that their stature in the game has been tremendously improved following the arrivals of superstars like David Beckham. Ronaldo could be the true replacement for Beckham in the MLS. Once again, though, competitiveness in the league could be the major stumbling block towards a potential deal. Cristiano Ronaldo next game is a friendly game for the International Champions Cup on July 23 of 2017 against Man United. You can watch Juventus live stream, Real Madrid vs Manchester United, Juventus vs Barcelona, Real Salt Lake vs Manchester United, Bayern Munich vs Arsenal, and AC Milan vs Borussia Dortmund, all matches provided from our football live game pages.